Home / featured / Free Speech / Politics / Free Speech Debate Blogs: "Student voices are just as important as those of politicians'"
Free Speech Debate Blogs: "Student voices are just as important as those of politicians'"
I am a student at Croydon College and a member of the college UNICEF Steering Group and am preparing to debate whether there should be limits to freedom of speech in the UK for the House of Lords annual Chamber Event. The Lords opens its chamber up once a year allowing members of the public and people of all ages the opportunity to debate a topic and have their voices heard. In order to prepare, I have had a mock debates with The English-Speaking Union, who have been training floor speakers, as well as fellow students from different colleges. Through this process, I began to consider for myself the very definition of free speech and what it truly means in modern society. 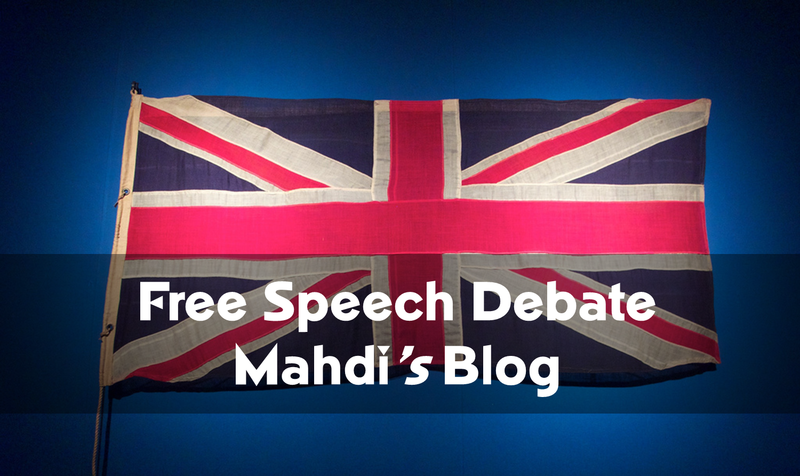 Some say, free speech is where a person has the right to convey their views and opinions with no limitations – regardless of whether they are offensive or controversial. Whilst others believe limits should be imposed as more extreme views can be damaging to people and society. It is generally considered therfore, that when one expresses their views, they must not contradict the nation’s moral values. But this concept in itself is contradictory for it is setting boundaries on what people can say. This got me thinking - it’s not about ‘should people have freedom of speech’ it’s the very wording that is the problem. What is the definition of freedom? Freedom is the absolute authority for one to think and speak as they want and according to article 10 of the European convention of human rights, everyone has freedom of expression. This includes the right to hold and give out opinions without interference by the authority or by the government. This freedom, however has led to voices being misused and applying them in a way that may not withhold the nation’s moral values. This is evident through groups such as the EDL, or in the US individuals such as Donald Trump, who have exercised the right and freedom to express their views, regardless of the impact on society or the hurt caused to inidiviuals So is the right to express your views without boundaries necessarily a good thing if people are able to abuse this power? As one of the trained floor speakers, I am going to use the Chamber Event as an opportunity to address these issues on Friday. It is fundamental to the very concept of free speech that everyone should have their democratic right to express their opinions and to be able to do this in one of the most iconic political institutions in the world is very unique. I hope to be able to show that student voices are just as important as those of politicians' on a topic that is increasingly relevent to young people today; as the lines begins to blur on the boundaries of what is acceptable in expressing ones own opinion. Although I do believe in the context of free speech that there should be some boundaries imposed in order to protect society, I don’t believe there should be any boundaries set for what young people can achieve. In taking part in this debate, alongside my peers, we are able to show that our opinions count.